In addition to the projects below, you can find samples of my web work on my GitHub page. Below, you will find a gallery of various web projects that I’ve worked on in a variety of capacities. These are mostly from the distant past, and no longer represent my current work, but I’m including them as a historical curiosity. I’ve tried to indicate a little bit about why each project was interesting, and to provide some information about which parts of the project I was responsible for. Click the screenshots for full-size graphics. I’ve tried to provide links to the current versions of these sites, however, many of them have changed substantially since I worked on them. I put this site together as part of a Northwestern University graduate journalism class. I was responsible for all design and implementation on the site. 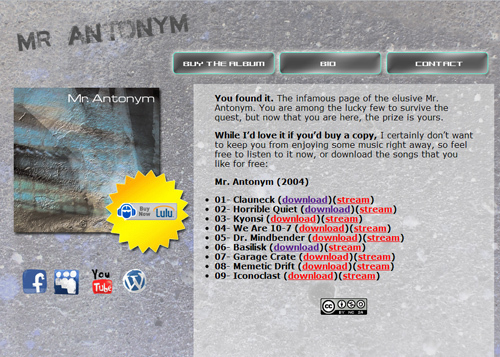 This is a micro-site I made to promote an album of electronic music I released in 2004, and re-released as a publishing-on-demand version. Another project for a Northwestern grad school class. 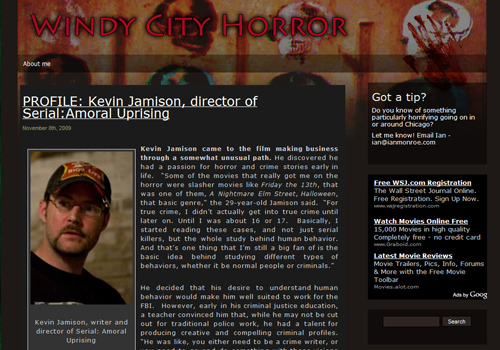 This is a blog about horror movies and the associated subculture in Chicago. Now defunct, no live site available. 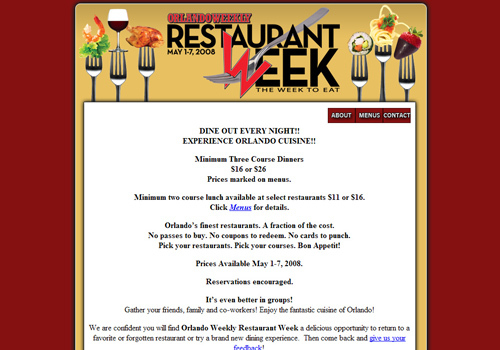 A micro-site created for a promotional project of Orlando Weekly. 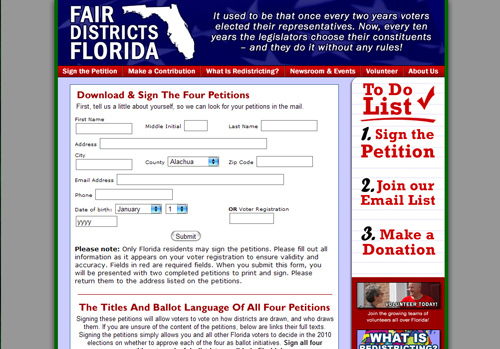 A petition and donation collection site for a political cause. HTML forms passed data to a database, then populated a PDF form (including a unique barcode) for the user to print, sign, and mail in. The barcodes were scanned as completed petitions were mailed in. Most of the design was done by a graphic artist, and I implemented the designs and the logic. 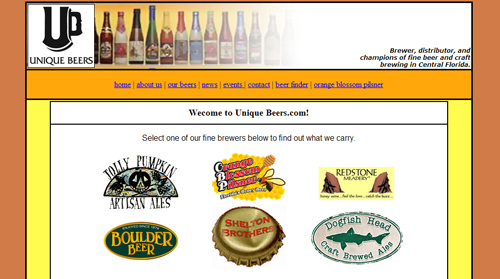 This was a simple site made for a beer distributor in Orlando, Florida. Not very fancy, but it didn’t need to be. One interesting thing about this site is that I developed a custom, super-simple content management system to keep track of brewers and beers which they distributed. The business was sold several years ago and merged with a larger company, so no link. My very first weblog(2001)Aww, isn’t that adorable? It’s like this site’s great-great grandfather! 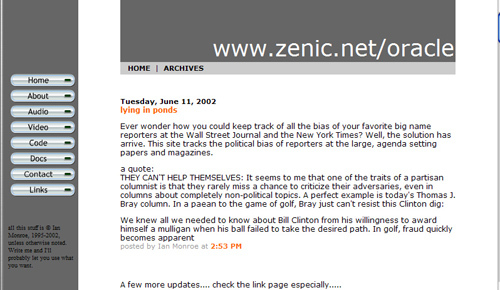 Back in 2001, weblogs weren’t nearly as ubiquitous as they are these days. 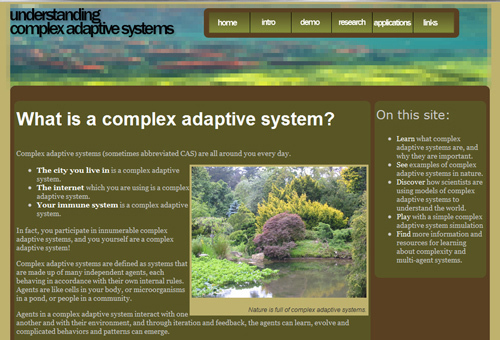 I built this site by hand, and I used blogger as a content management system for it. It wasn’t fancy, but it was a learning experience. Included only as a historical curiosity. This site has been gone for years, so no links, sorry.